“OMFG” is right! 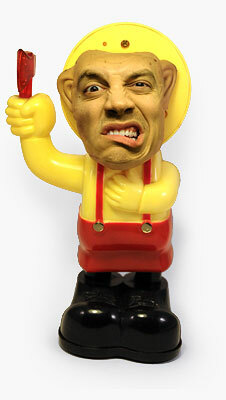 Outlandish Mini Figure Guys! The community at October Toys are always up to something, and this time, it’s an awesome little set of mini figures – a throwback to the old M.U.S.C.L.E. 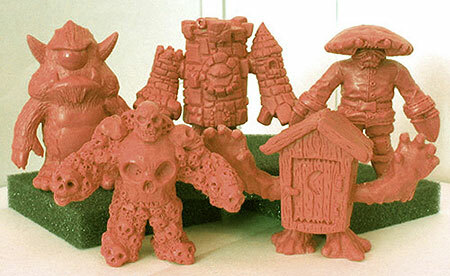 figures from the 80s. 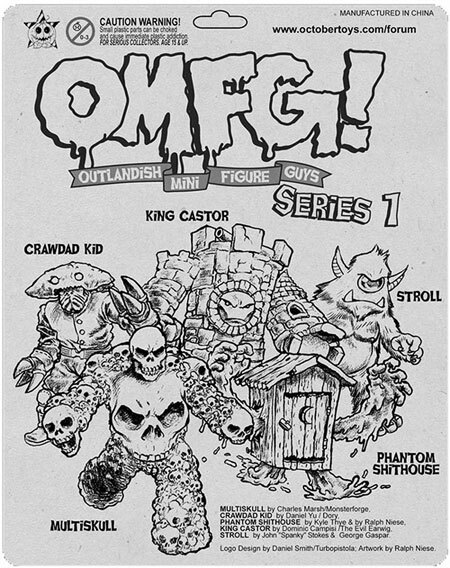 This first series includes Multiskull, Crawdad Kid, Phantom Outhouse, King Castor and Stroll. These new figures perfectly capture the quirkiness and fun of that old line, and I really can’t wait to get my hands on these. If you’d like to learn more and help make these figures become a reality (which you really should), you can help fund the project at Kickstarter.com. I’m actually a backer on this project. I’m not only happy to contribute, but I’m psyched to get my hands on these little guys. shot off like a rocket! The goal was met in 5 days. Awesome idea… excellent business model. I loved my MUSCLES… just might love these! I have signed up for an awesome black set! Also my apple devil T-shirt arrived and I have been freaking out my friends with it. These are really awesome. Any throwback to MUSCLES are cool in my book. Kickstarter has so many awesome ideas and products. I found your site was awesome,, toys I’ve never meet before landed here..
would you mind for an exchange link with me ?